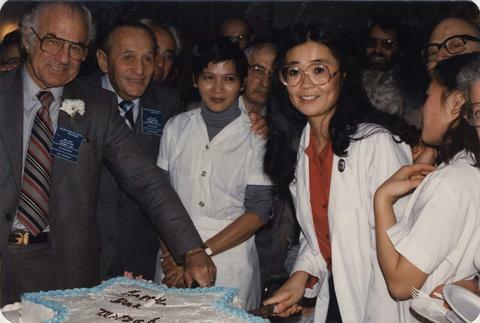 Photograph depicts a group of people surrounding a "Happy Bar Mitzvah" sheet cake as two people cut into it. Written on the verso: "T2097-22A. 13 Dec/81. 1 1/2 x 2 3/4. Brier Home. Dec 31/81."